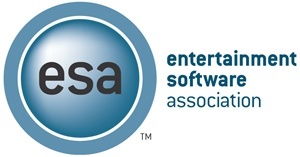 For those who haven't been following the disturbing and occasionally ridiculous news from the Entertainment Software Association, it is in full-on self-destruct mode. Among the ESA's numerous duties is acting as a conduit between game publishers and legislators, as well as hosting trade events like the neutered Electronic Entertainment Expo, or E3, though how much actual work the ESA has accomplished in those areas of late is of increasing question. Instead, the ESA of 2008 is sloughing off members at an alarming rate and getting into spats with independent news organizations. This isn't just a bad thing simply for reinforcing the stereotype that the gaming industry is staffed with unprofessional malcontents, but also because the ESA is supposed to be a representative of the entire gaming industry. Without a professional, competent and trusted organization at the helm, game makers are more vulnerable than ever to activist legislation and disarray. Headed by Mike Gallagher, a former internet policy adviser to the Bush Administration, the ESA has been under increasing fire since the departure of Doug Lowenstein in 2007 and the struggles to maintain E3's relevance. Last month, the Escapist's own Andy Chalk penned a strong history of the ESA, including its once lauded successes and current woes. Things were bad enough in early May for the trade organization in the wake of sudden departures by Activision and Vivendi, but what had been a crisis for the ESA has erupted into a full blown catastrophe with the further departures of LucasArts, id and the growing sense that the organization has lost serious credibility in representing gaming interests. At a time when the ESA should be making public good faith efforts to stop the hemorrhaging of high-profile companies from its ranks, it instead made the inexplicable decision to defend E3's upcoming keynote speaker, Texas Governor Rick Perry, in the wake of some relatively extreme religious statements. That's to say nothing of the bizarre choice of Perry as keynote speaker in the first place, but wait. It gets better. In the aftermath of Perry's questionable remarks, the ESA followed up by getting into apublic spat with GamePolitics for its criticism of Perry. This brings a lot of questions to bear on the embattled ESA. Why is it incapable of keeping members like Activision, LucasArts, Vivendi and id? Why was a figure like Rick Perry chosen as keynote speaker for the already troubled E3 in the first place? Who does the ESA really represent in its astonishingly aggressive response to criticism of placing a highly politicized figure at the forefront of a gaming industry trade show? What do the compounding troubles for the ESA say about its ability to successfully represent the industry? Most importantly, maybe now is the time to ask the big question: What should the role of the ESA be?